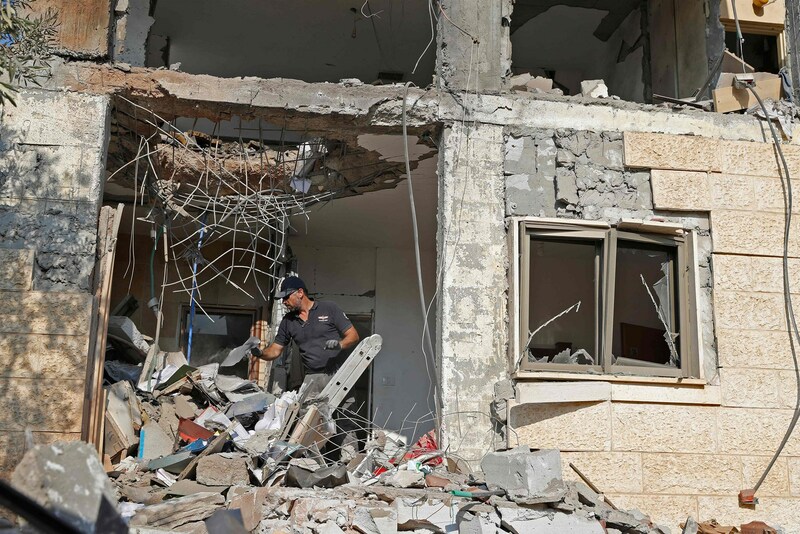 TEL AVIV — A long-range rocket fired from the Gaza Strip early Wednesday landed in the largest city in southern Israel, destroying part of a house. It was the first rocket to hit Beersheba, a city of 200,000, since 2014. Another rocket fired from Gaza landed in the sea near Tel Aviv — Israel’s largest city. The firing of more advanced rockets was an escalation in the ongoing conflict between militants in the blockaded Palestinian enclave and Israel. Israel said that Hamas has fired more than 350 rockets into Israel over the last six months. A woman and her three children, including an infant, were treated for shock after the rocket hit her house in Beersheba. After hearing sirens warning of an attack, the family took cover in their home’s bomb shelter, a military spokesman said. Schools in the south of Israel were closed on Wednesday as a result.